On March 28, 2013, the Commodity Futures Trading Commission (CFTC) issued two final orders affecting certain electric utility participants. One order exempts four types of specified transactions in the organized markets of five Regional Transmission Organizations (RTOs) and Independent System Operators (ISOs) and the Electric Reliability Council of Texas (ERCOT) from certain provisions of the Commodity Exchange Act (CEA) and CFTC regulations as amended by the Dodd-Frank Act (RTO/ISO Order). The other order exempts certain non-financial energy derivative transactions between government-owned and/or cooperatively-owned electric utilities that are used to manage supply and price risk (201(f) Order). These two orders were widely anticipated, as the related CFTC no-action letters granting similar relief on a temporary basis were to expire on March 31, 2013. The final orders provide additional clarity about the transactions the CFTC considers to be swaps subject to its regulations. This clarification is useful given the approaching April 10, 2013 deadline for swap transaction reporting. These final orders emphasize that, notwithstanding the exemption from the CFTC regulations governing swaps, the covered transactions will continue to be subject to the CFTC’s anti-fraud and anti-manipulation authority. Title VII of Dodd-Frank amended the CEA to give the CFTC exclusive jurisdiction over swap transactions. Dodd-Frank broadly defines “swaps” to include options, contingent contracts, classic swaps (including “energy swaps”), and anything “commonly known to the trade” as a swap. Under Dodd-Frank, swap transactions are subject to a myriad of CFTC regulations, including reporting and recordkeeping obligations, clearing and margining requirements, position limits, and anti-fraud and anti-manipulation rules. Section 4(c) of the CEA directs the CFTC to exempt certain transactions, including electric energy transactions offered pursuant to a FERC- or state-regulated tariff, and transactions between entities described in section 201(f) of the Federal Power Act (FPA), i.e.government-owned electric utilities and electric cooperatives, if such an exemption is in the public interest. The Final RTO/ISO Order issued on March 28 largely tracks the NOPR with a few clarifications. 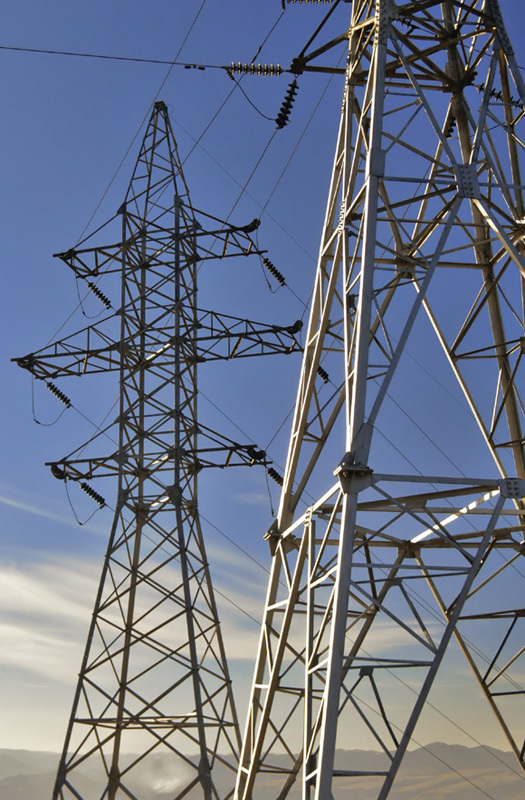 The Final RTO/ISO Order exempts, subject to certain conditions, the purchase or sale of the above-listed Specific Electric-Related Products as long as the transaction is executed on an RTO/ISO market pursuant to a FERC- or PUCT-approved tariff. The CFTC declined to delineate specific transactions that qualify for the RTO/ISO exemption and also declined requests to expand the exemption to cover transactions that are “outgrowths of,” or “economically comparable to,” the specific Electric-related Products. The CFTC clarified that virtual and convergence bids and offers in Day-Ahead Markets are exempt “energy transactions,” and that exempt energy transactions may be cash settled. Parties to an exempt transaction in those markets must be “appropriate persons” as defined by CEA sections 4(c)(3(A)-(J) (generally categories of financial entities specified in the statute); eligible contract participants, as defined by CEA section 1(a)(18); or persons who are in the business of (i) generating, transmitting or distributing electric energy, or (ii) providing electric energy services that are necessary to support the reliable operation of the transmission grid. The CFTC clarified in the Final RTO/ISO Order that “appropriate persons” may include parties providing demand response services, public power systems, and governmental entities, but declined to make the exemption categorically available to all RTO and ISO eligible market participants. Full compliance with FERC Regulation 35.47, which addresses RTO and ISO credit practices. This can be demonstrated by FERC’s approval of a Petitioner’s Tariff. With respect to ERCOT, the CFTC will accept similar market protocols approved by PUCT. A legal memorandum from the RTO/ISO’s outside counsel that provides the CFTC assurance that relevant netting arrangements provide that entity with enforceable rights of set off against any of its market participants that is in bankruptcy. On March 29, the CFTC issued a no-action letter providing temporary relief from the Final RTO/ISO Order’s outside counsel memoranda, information sharing, and appropriate person conditions to allow time for compliance with these provisions. The letter grants “no action” relief through April 30, 2013, for the required legal memorandum and September 30, 2013, for changes to tariffs. On June 8, 2012, the National Rural Electric Cooperative Association, the American Public Power Association, the Large Public Power Council, the Transmission Access Policy Study Group, and the Bonneville Power Administration filed a petition for exemption from CFTC regulation of swap transactions between FPA section 201(f) entities, i.e. electric cooperatives, public power, and Federally-owned utilities under the Federal Power Act. On August 23, 2012, the CFTC issued a Proposed Order exempting the following transactions among 201(f) entities: electric energy delivered; generation capacity; transmission services; fuel delivered; cross-commodity transactions; and other goods and services. The CFTC proposed that the exemption would only apply to those transactions for which the participants intend to physically deliver the underlying commodity. On October 11, 2012, the CFTC issued a no-action letter to preserve the status quo of these exempt 201(f) transactions through March 31, 2013. The Final 201(f) Order finalized the proposed exemptions with additional clarifications. The CFTC explained that the scope of the 201(f) exemption only covers transactions that a 201(f) entity enters into to manage supply or price risk associated with its public service obligation to provide electric service. The CFTC emphasized, however, that any such transaction used to manage price risk must always be associated with an obligation to make or take physical delivery and not for speculative purposes. The Final 201(f) Order also explains that transactions based upon or referencing any financial asset class of a commodity (e.g., interest rate, credit, equity or currency asset class, or any grade of a metal, or any agricultural product, or any grade of oil or gasoline not used for electrical generation) are not covered by this relief. Transactions that are otherwise subject to the rules of a registered entity, subject to clearing by a derivatives clearing organization, or reported to a swap data repository also are not covered. This exemption applies retroactively to the date of the enactment of the Dodd Frank Act. These long awaited final orders provide clarity about the types of transactions over which the CFTC exercises its jurisdiction as it continues to implement its Dodd-Frank authority. The RTO/ISO Order helps to avoid duplicative oversight of certain transactions in the organized markets of RTOs and ISOs that the FERC already has approved in form and substance, including price formation. The 201(f) Order provides regulatory certainty that non-financial energy derivatives used by government-owned utilities and cooperatives to manage supply and price risk will not be treated as swaps and subject to swap regulations. Still, uncertainty remains for the energy industry on several CFTC issues. For example, the CFTC has not yet issued further guidance on the “volumetric optionality” test to meet the CEA jurisdictional carve-out for forward contracts. It would be helpful if the CFTC would issue such clarification in advance of the April 10, 2013, compliance deadline for swap data recordkeeping and reporting so that parties could be more certain about their transaction classifications. Uncertainty also remains about the swap dealer definition threshold related to transactions with “special entities” (defined as federal agencies, states, state agencies, ERISA, and governmental plans). Under Dodd-Frank, entities engaging in swap transactions above a certain annual threshold level will be considered swap dealers. The general threshold level is currently $8 billion (phasing down to $3 billion), but the threshold is much lower for transactions with special entities, which include government-owned utilities. The CFTC issued a no-action letter in October 2012 changing the initial $25 million special entity threshold to $800 million for swaps with utility special entities. Despite this increase for utility special entities, the swap dealer threshold remains a topic of concern for public power providers. Public power stakeholders have argued that the lower threshold ($800 million vs. $8 billion) hinders their ability to hedge operational risks by limiting the number of willing counterparties. Van Ness Feldman monitors and interprets CFTC developments; provides strategic counsel on company-specific issues; develops transaction audits and compliance plans; and advocates to CFTC and Congressional policymakers. For additional information, please contact Lisa Epifani or any other member of our Electric Practice Group in Washington, D.C. at (202) 298-1800 or in Seattle, WA at (206) 623-9372.